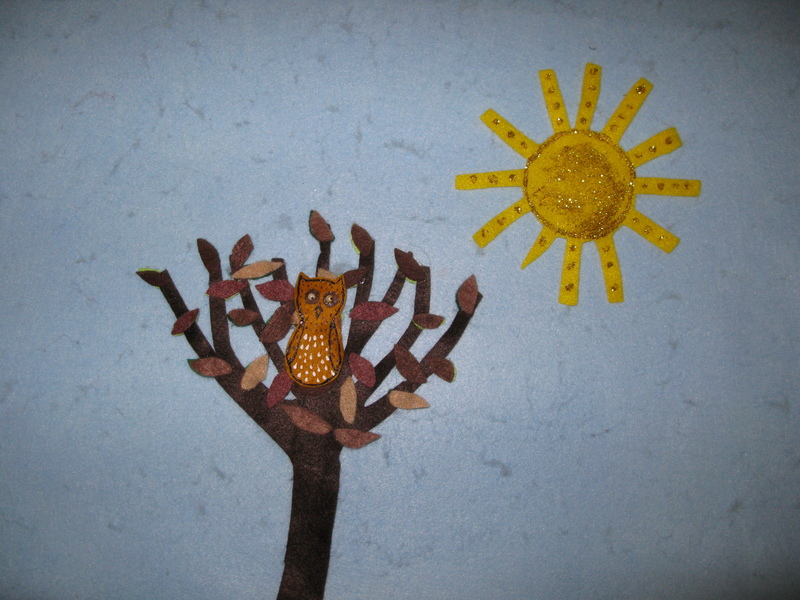 For the Septmber/October edition of my library’s magazine I submitted a fun owl handprint craft. I’m a little behind on posting it here, as we are already getting ready for the Nov/Dec issue! 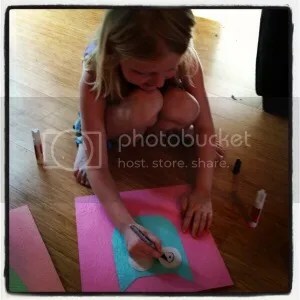 I loved this craft which I originally found on the cool blog Meet the Dubiens. 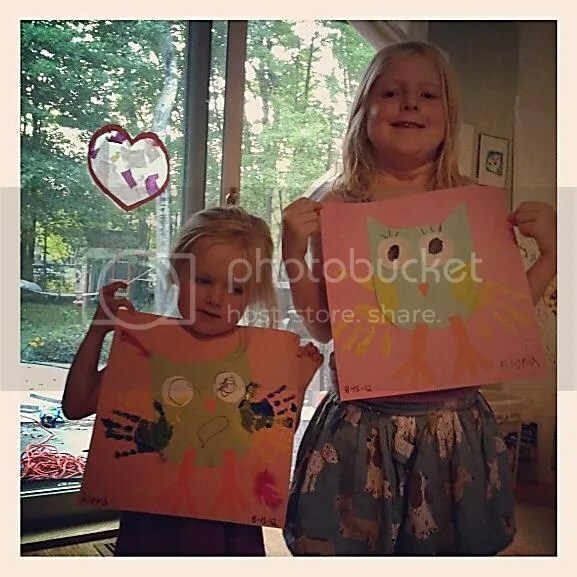 I thought these owls were sch a cute idea to document your child’s cute little hands and looked really nice on the wall. We’ve hung our owls up in the girls’ room near their bunkbeds, and I just love seeing them everyday! 1. 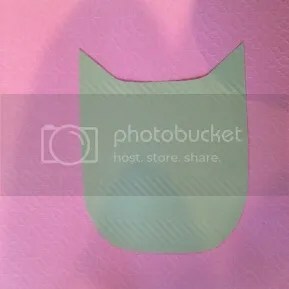 Cut out a simple owl shaped body, and then cut out two round eyes, a triangle beak, and two legs. 2. 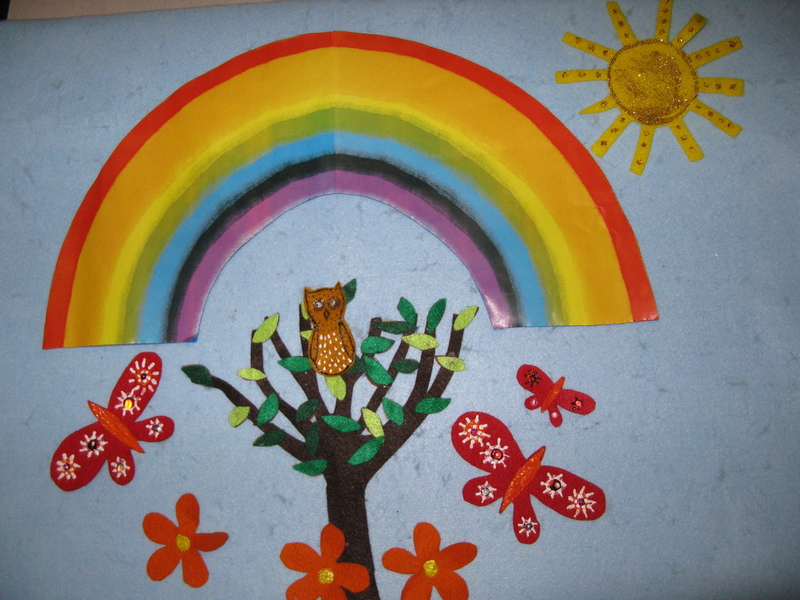 Assemble the owl on the scrapbook paper and glue in place. Color in the pupils on the owl’s eyes with black. 4. Once the paint is dry, children can glue on feathers if they would like. These are wonderful decorations or gifts that document your child’s small cute hands! This week my storytime theme was birds. I love this book Wow! 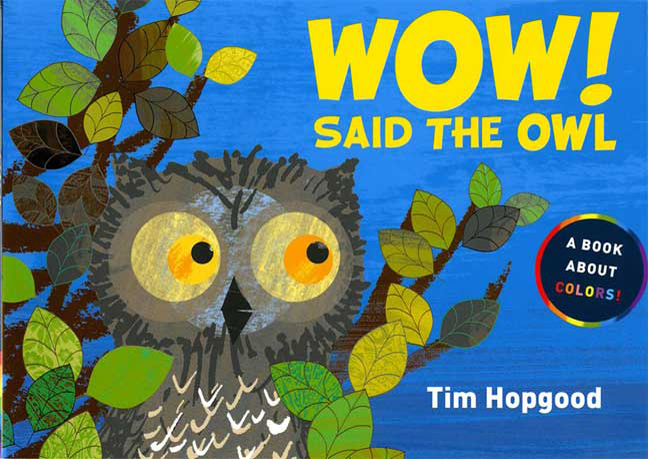 Said the Owl by Tim Hopgood and it works great for birds, colors, or bedtime stories. It’s also a great storytime read as the phrase “Wow! 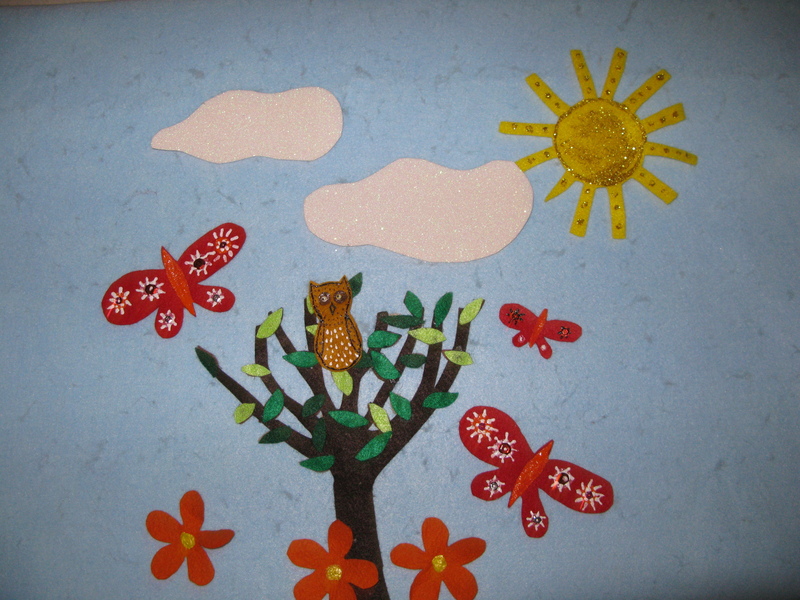 said the owl” is repeated throughout the book and the kids love to chime in. 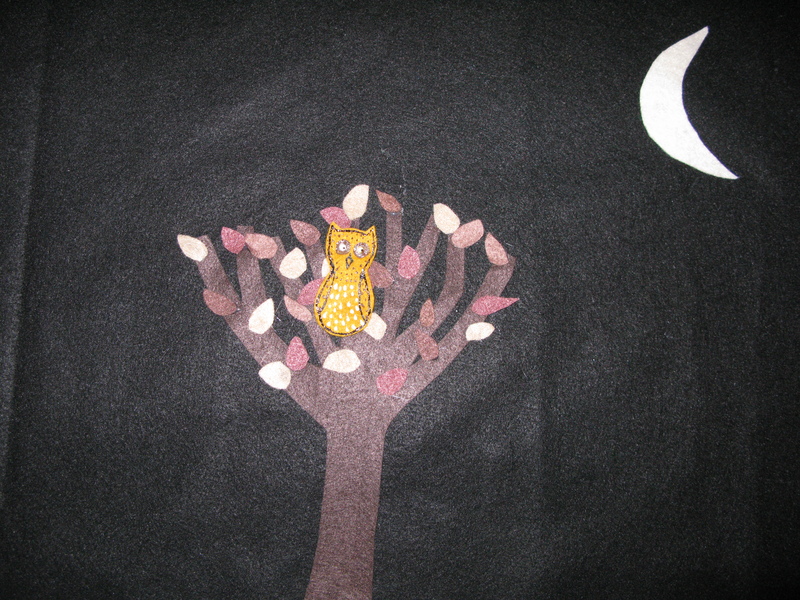 The beginning scene in the book shows the owl in his tree at night. 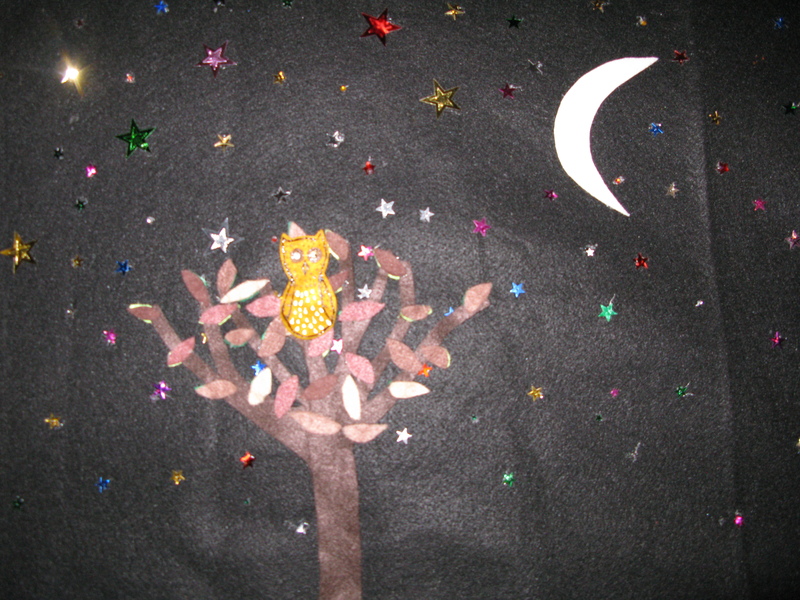 This is a large piece of black felt that has the tree and moon glued to it, the whole piece sticks to the feltboard. The opposite side shows the last scene from the book. For the next scene simply remove the owl and place him in a new tree. I found after my first sorytime that it was easier to make several trees and glue them to the scenes instead of having to move them around with the owl. 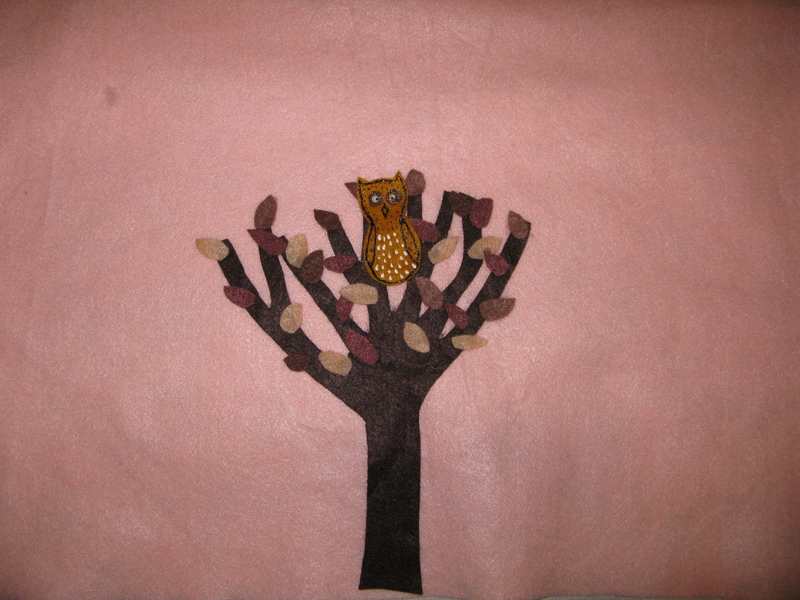 The owl in his tree with the pink morning sky. Ok this next picture (with the pink sky) is where you do need to have a removable tree. This tree has brown leaves on one side and green on the other. This way once the owl notices his leaves are green in the book, you can quickly flip over the tree and put the owl back in. The next series of photos shows the different colored objects the owl notices during the day. 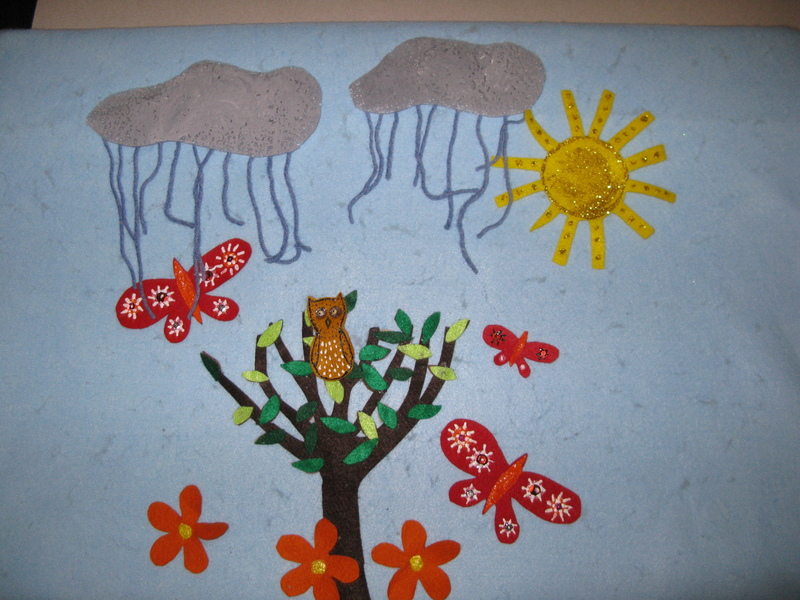 Red butterflies, orange flowers, white clouds (which turn gray and rain) and a beautiful rainbow. The last scene in the book is the reason I really wanted to make this into a felt board. I thought it was so beautiful and pictured using star sequins and got really excited. So this is the reverse of the original black felt piece used at the beginning of the story. The kids LOVED this story, but I do definitely recommend practicing it before hand as there are a lot of parts to this one.